Toxicity Toxic. Livestock, dogs, cats and humans. Control Mechanical, cultural and herbicide. Contact your county weed district or local Applicator for more information. Habitat Along shorelines, ditches, stream banks, floodplains, forests, areas of shallow water, low-lying wetlands and fish ponds. Leaf Shape Sword-like with smooth edges. 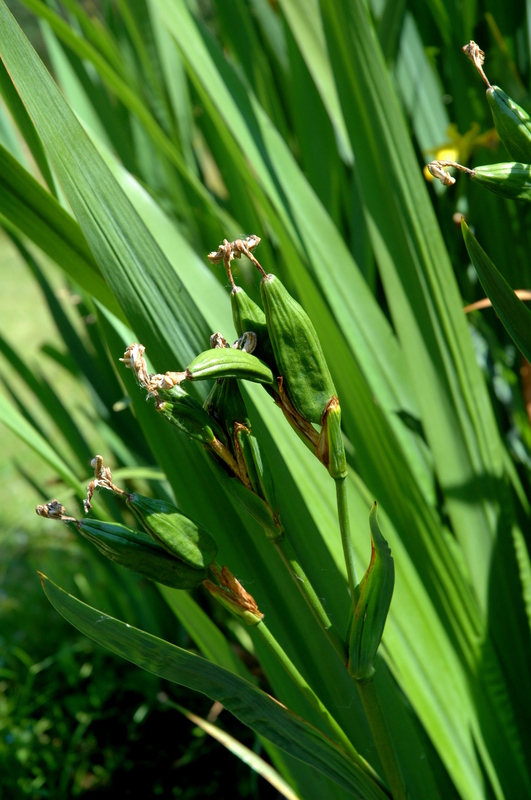 Similar Looking Plants Cattails or Rocky Mountain iris when it is not flowering. Important Information This plant is currently sold as an ornamental. 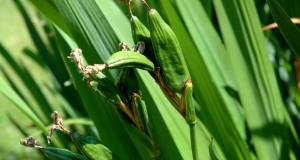 Each large seedpod can produce 120 seeds. Yellowflag is of two species of iris known to occur in Montana outside of horticultural plantings; the only yellow one.